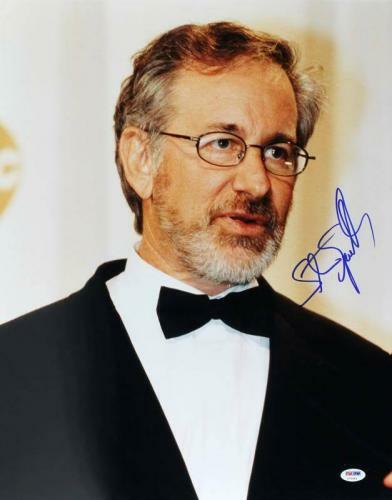 Steven Spielberg is not only one of the most popular filmmakers in history, but he is also the highest-grossing director of all-time. 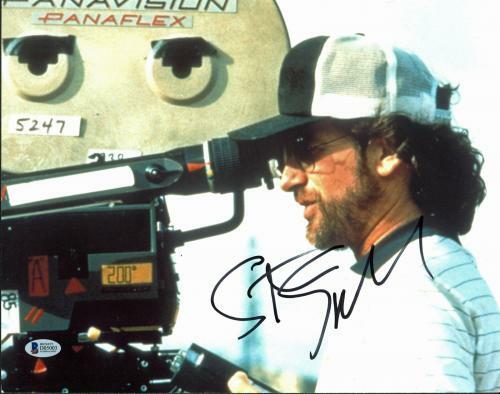 Quite simply there are very few people in Hollywood that have had as much success as Spielberg. 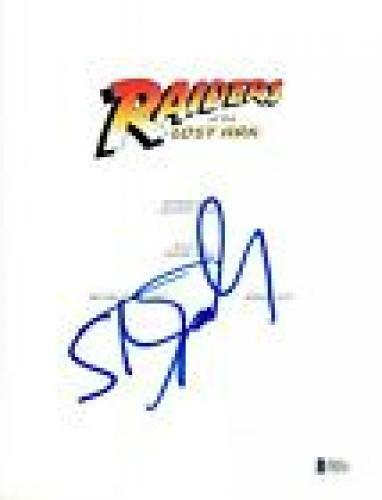 He is known as a pioneer for his work, particularly in the early science fiction and adventure genre. 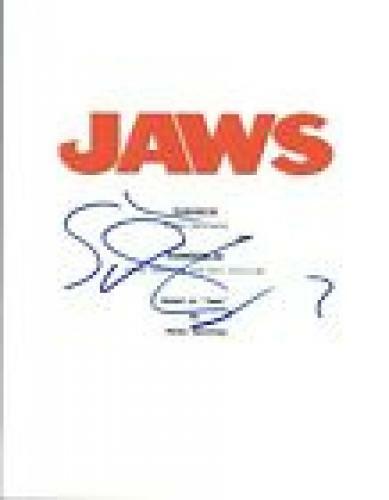 Movies such as Jaws, Raiders of the Lost Ark and E.T. 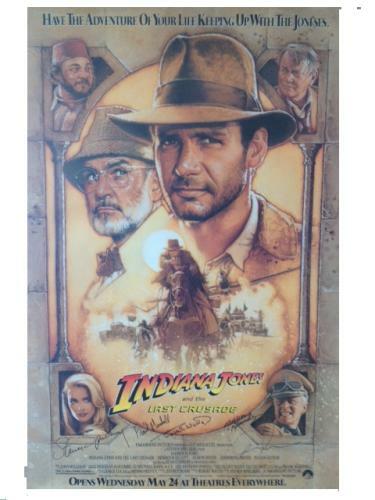 have become cult classics that are widely regarded as some of the best movies ever created. 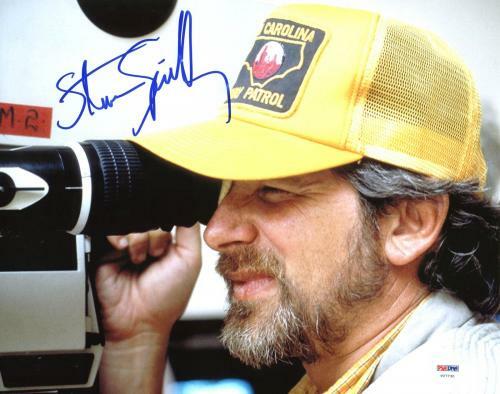 There are too many movies that Spielberg has made to begin to list them all, but anytime he puts his name on something his fans will go to the theatre to see it. 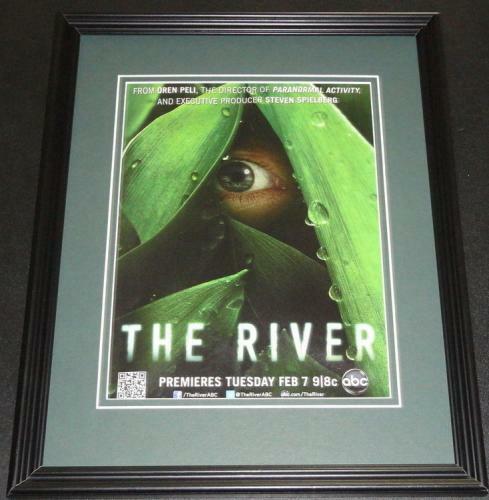 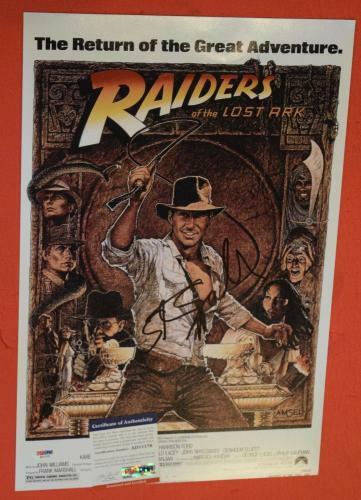 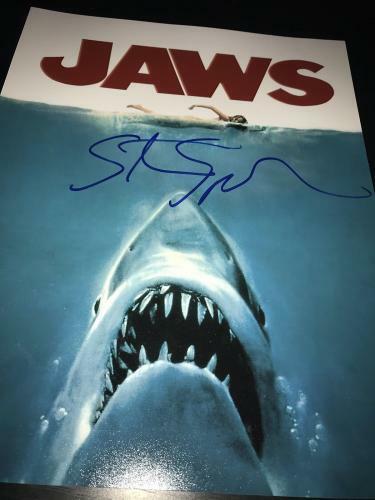 Between signed posters of Jaws or the iconic photo of George Lucas and Spielberg on the set of Indiana Jones, these memorabilia are one of a kind for any fan of the iconic filmmaker’s work. 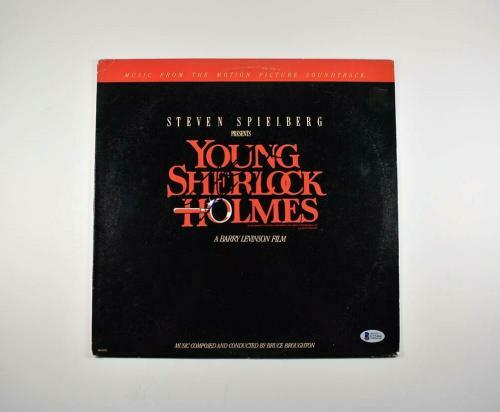 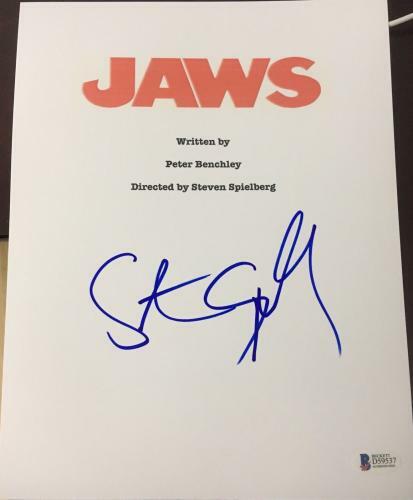 There is a wide selection of items that a collector can choose from, all of which will be sure to increase in value as Spielberg continues to make more movie magic as the years go by. 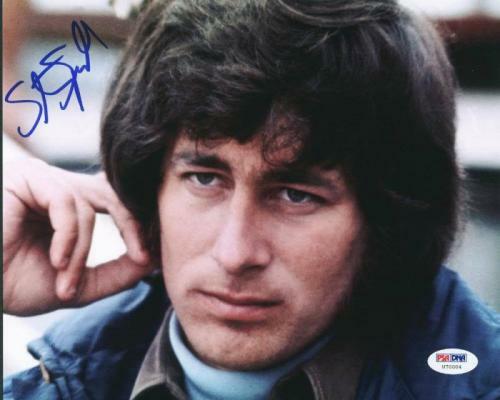 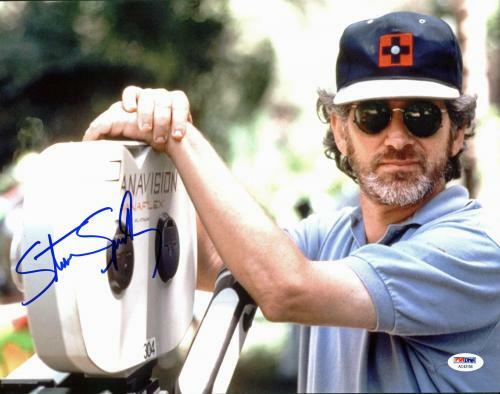 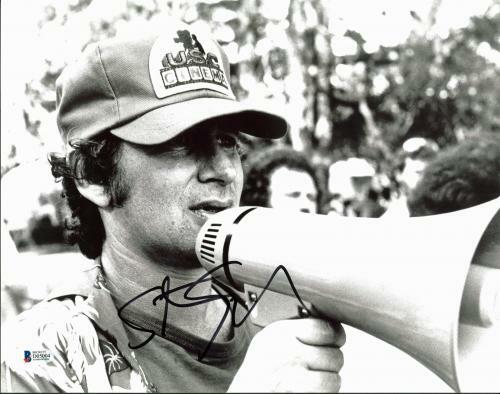 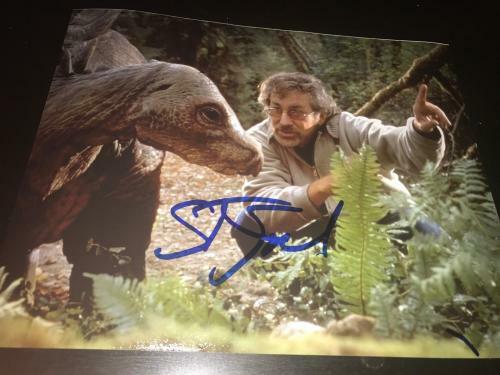 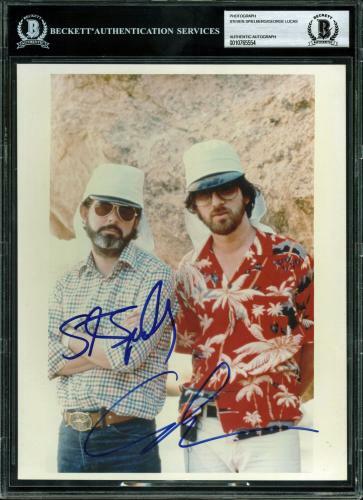 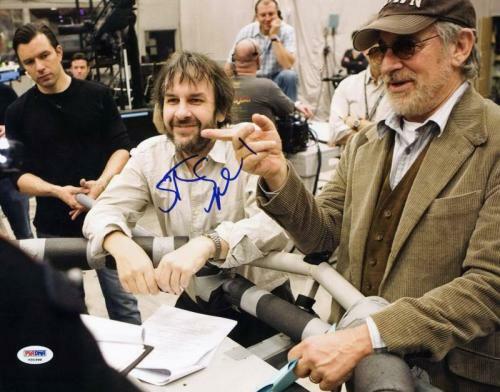 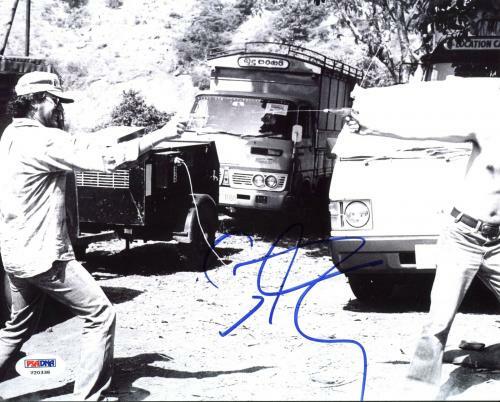 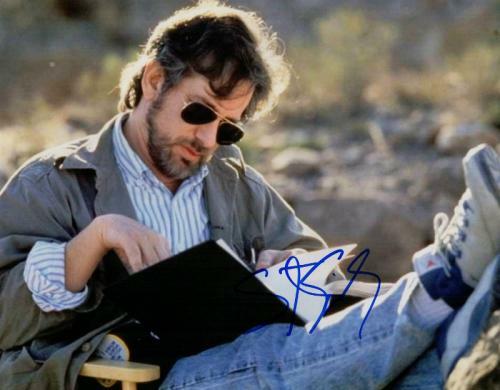 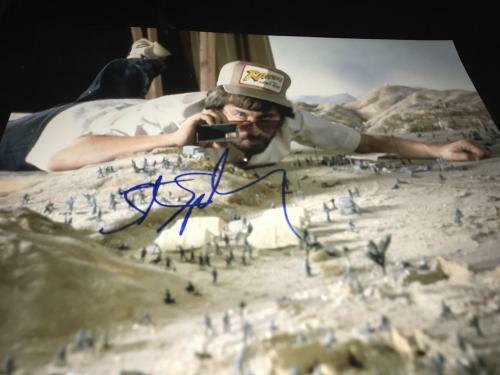 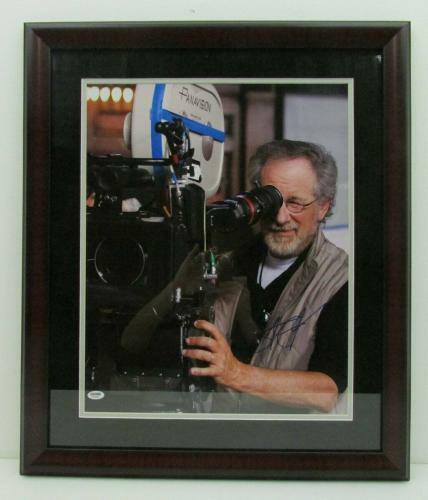 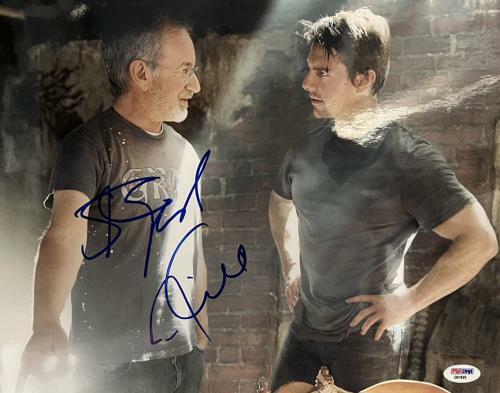 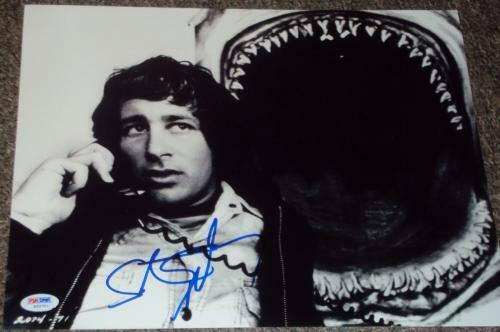 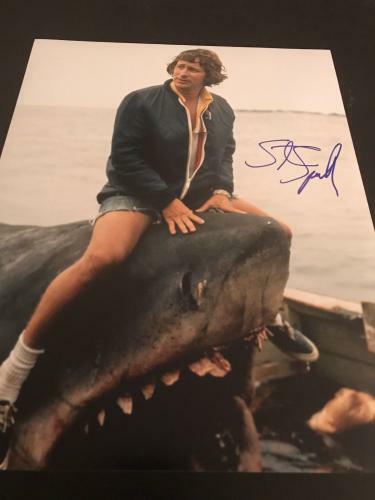 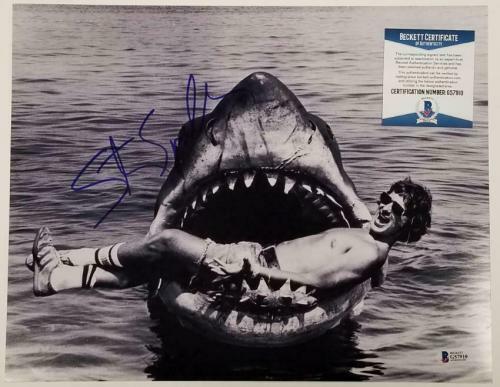 Steven Spielberg Autographed Photos: These photos of Steven Spielberg in action are truly one of a kind, as they depict him in various actions on the sets of some the most iconic movies ever made. 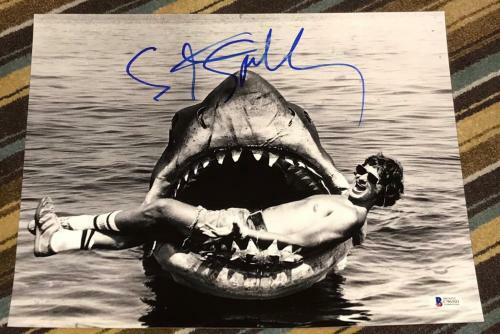 Whether it is Spielberg behind the camera of an Indiana Jones movie, or straddling the shark from Jaws, these pictures are unique and sure to be the highlight of anyone’s collection. 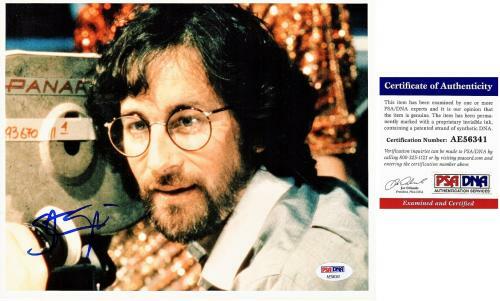 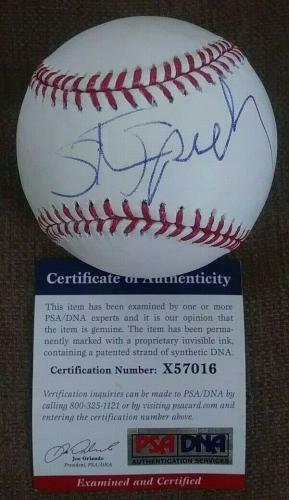 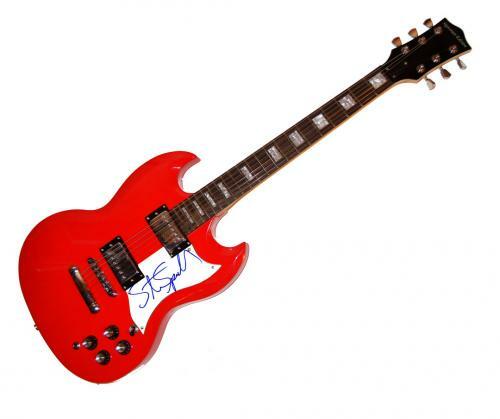 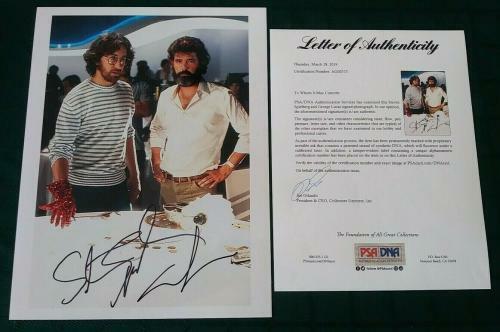 Every one of the memorable photos that are autographed comes with a certification of authenticity. 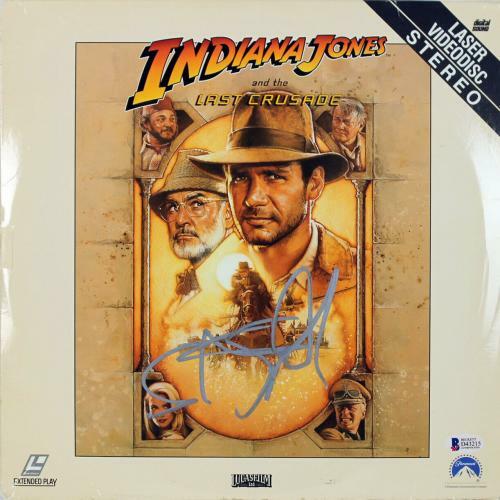 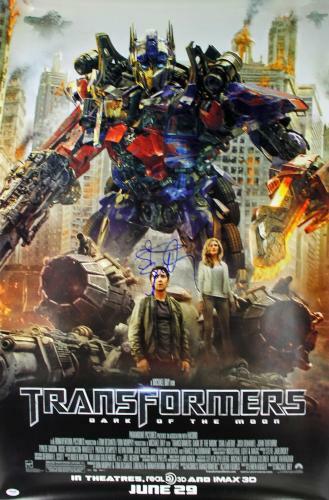 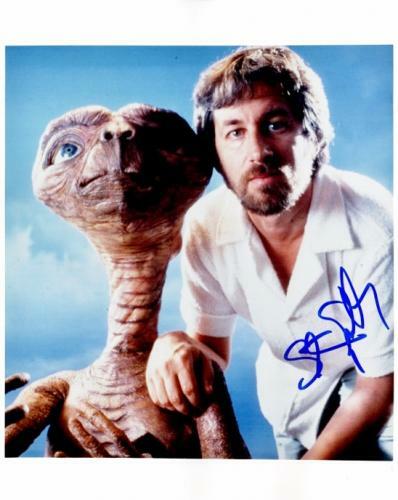 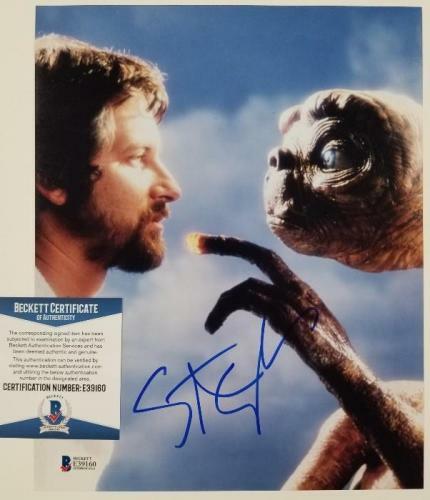 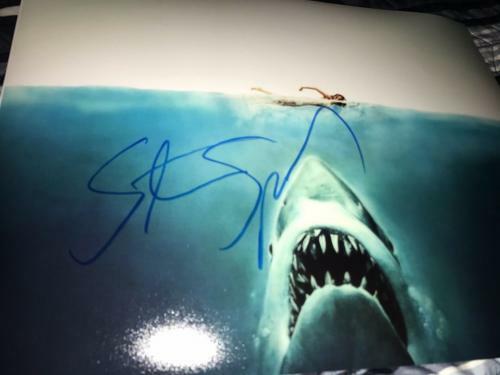 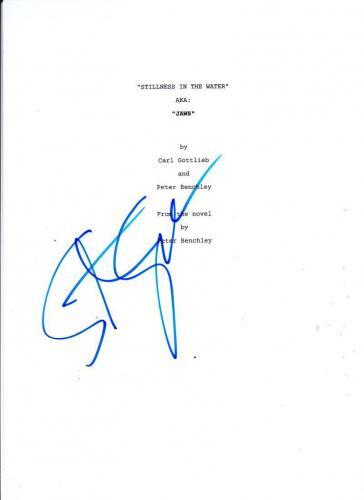 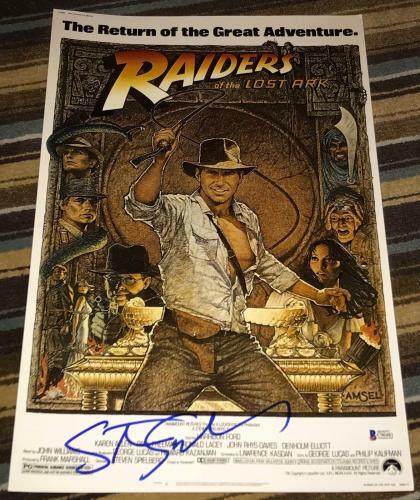 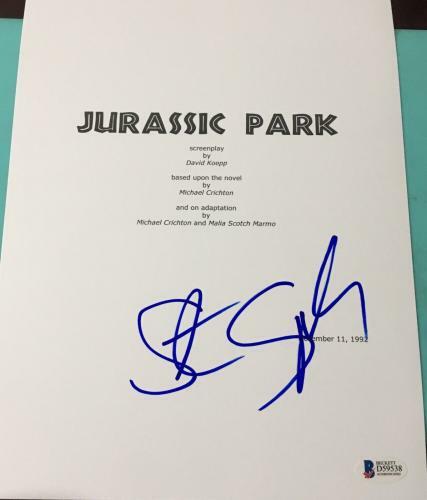 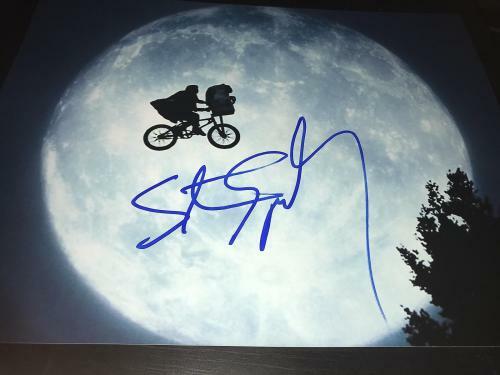 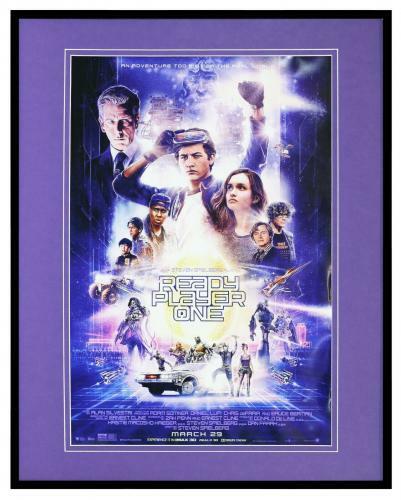 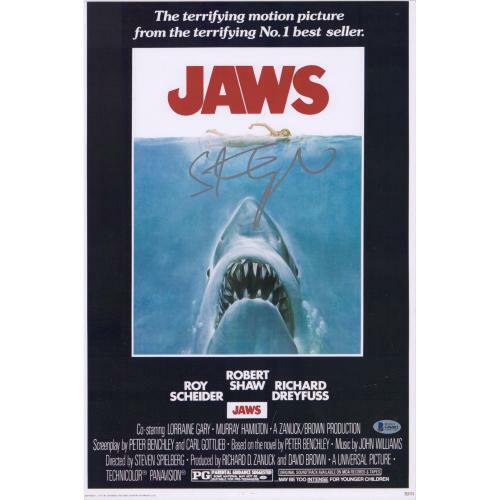 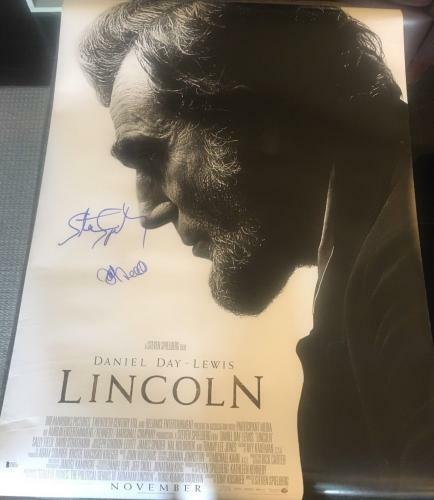 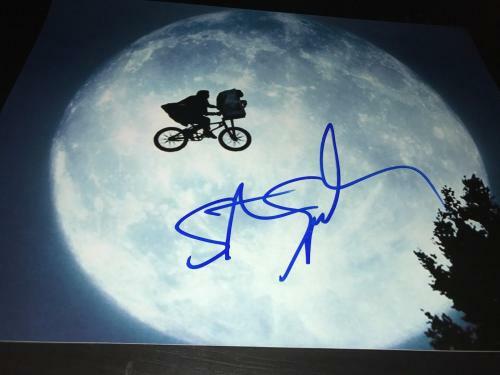 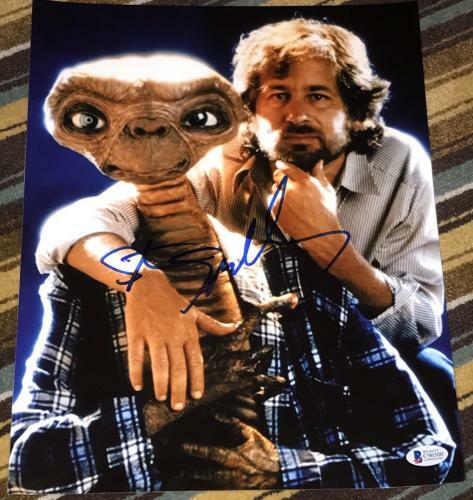 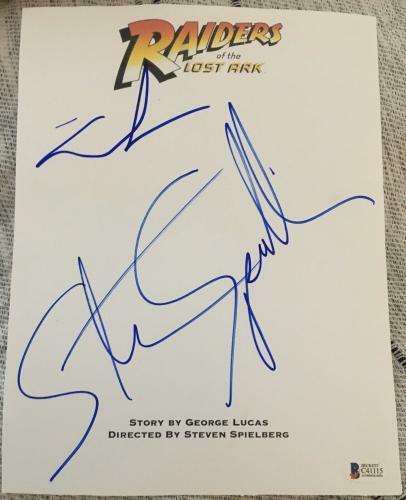 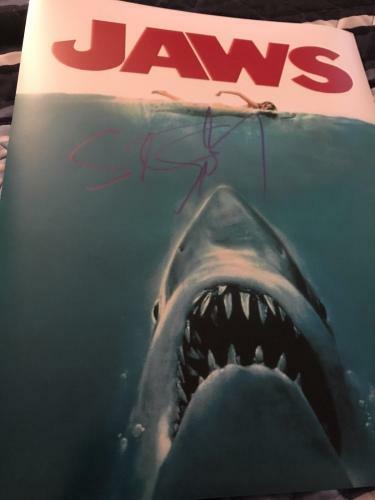 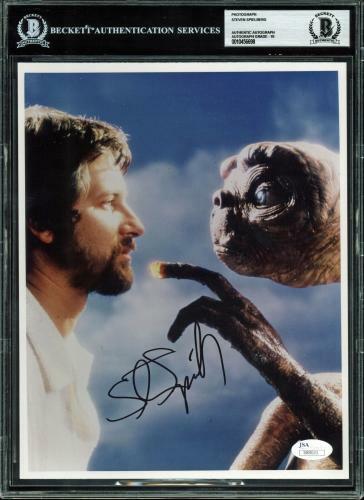 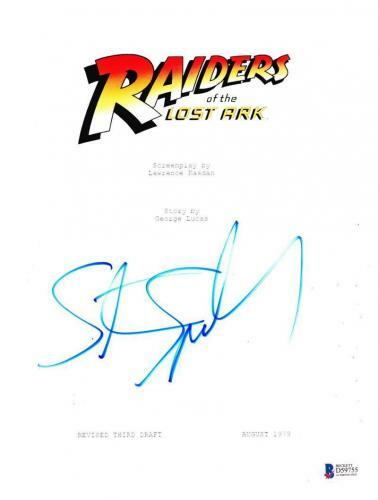 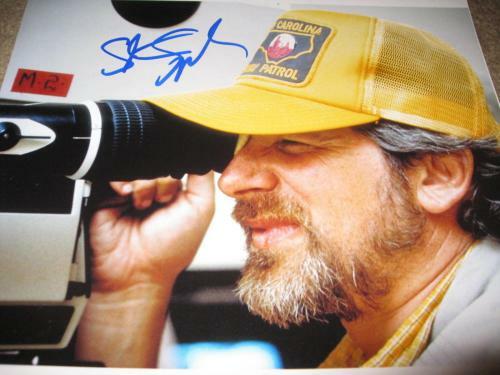 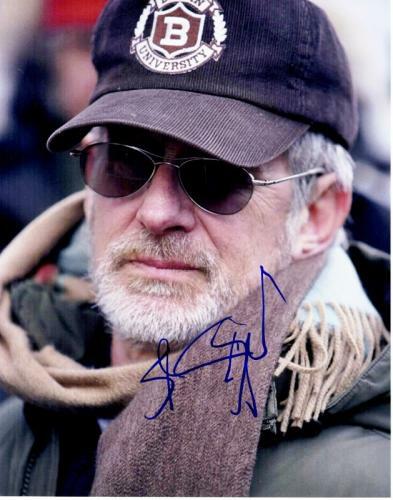 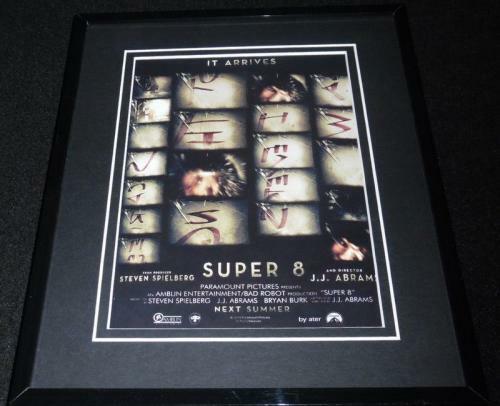 Steven Spielberg Autographed Movie Posters: Whether it is one of Steven Spielberg’s newer movies such as Transformers, original movies like E.T., these movie posters come with a certified autographed from the legendary filmmaker himself. 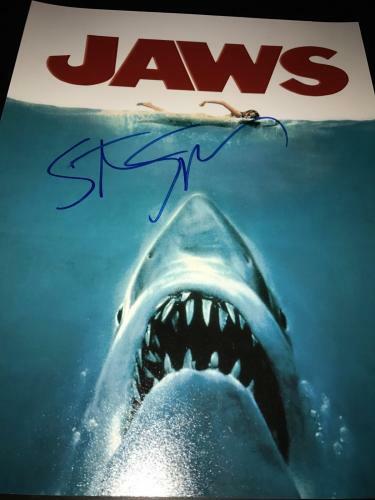 Some of these special posters include more than just the signature of Spielberg but also signature from Hollywood’s biggest actors. 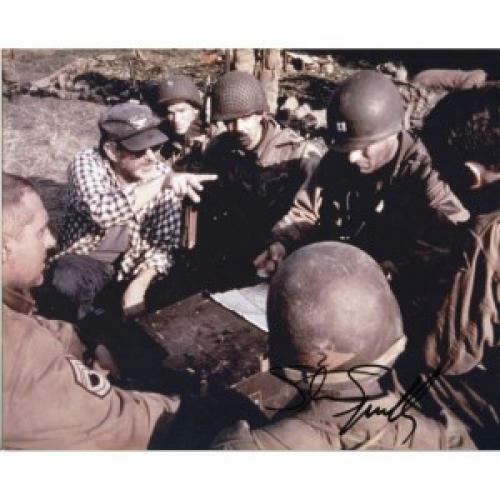 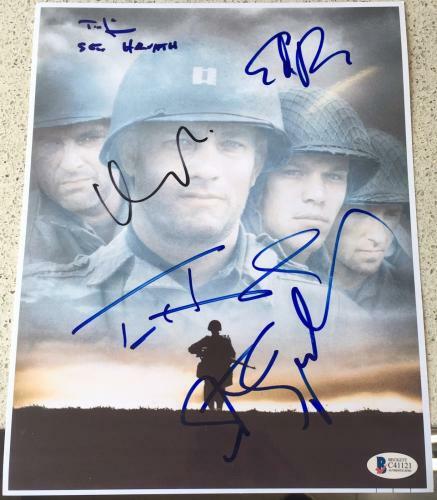 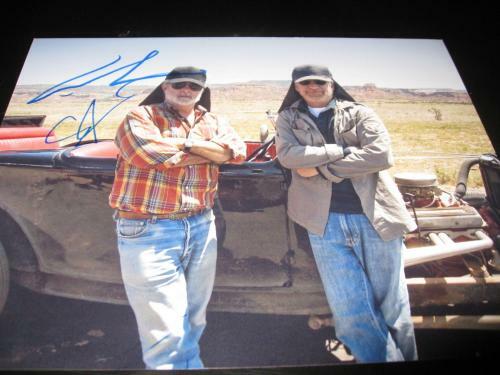 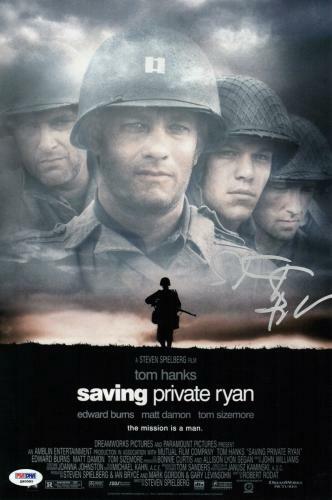 Get a Saving Private Ryan poster with Spielberg’s autograph, along with Tom Hanks as well. 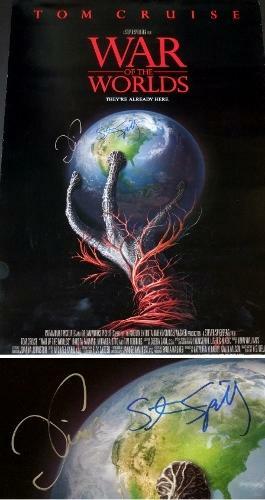 Also available is the War of Worlds poster that includes Tom Cruise’s signature. 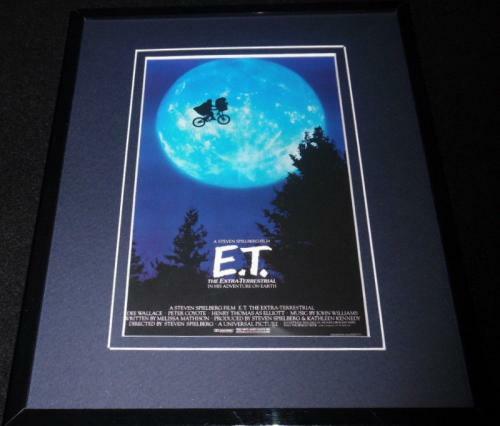 These items are invaluable and will look incredible hanging in your house.